Post the vacancy left by promotion of Madras High Court Chief Justice Sanjay Kishan Kaul, the Supreme Court collegium had recommended appointment of Justice Ramesh to the post. The judge however declined the offer, stating, ‘I request lordships to deny me the honours of becoming the chief justice of Madras High Court’. 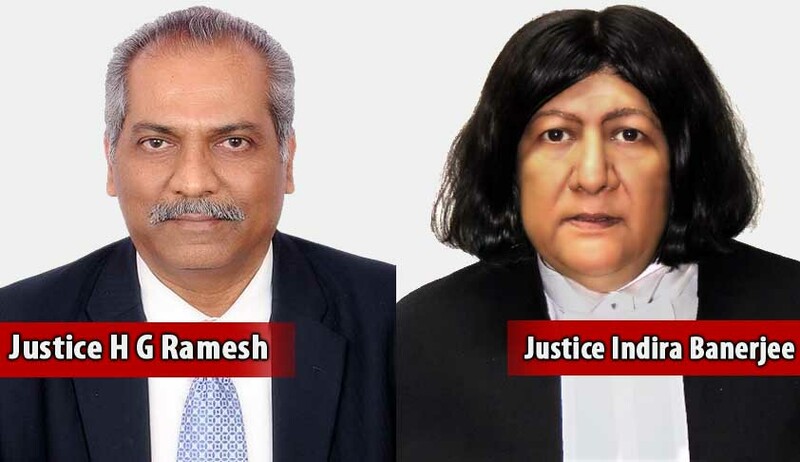 Justice HG Ramesh had initially written to Chief Justice of India JS Khehar on February 16, a day before Justice S Abdul Nazeer’s swearing-in ceremony, expressing his discontent with the promotion of his junior, Justice Nazeer, of the Karnataka High Court. In the letter, Justice Ramesh had questioned the grounds of the decision, which was reportedly based on the premise of giving representation to a minority community. ‘The Constitution of India doesn’t provide for reservation on the basis of religion or caste in the matter of appointment of judges to the high court and Supreme Court,” stated the judge in his letter to the CJI. While Justice Nazeer’s appointment is a rare departure from the general practice of elevating a high court chief justice to the Supreme Court, he was sworn in along with Justice Naveen Sinha, Justice Dipak Gupta, Justice Mohan M Shantangoudar (also a judge of Karnataka High Court) and Justice Sanjay Kishan Kaul. Both Justice Nazeer and Justice Shantangoudar will serve until 2023. With the posting lying vacant at Madras High Court, the collegium has now recommended that Justice Indira Banerjee of Delhi High Court take over as the chief justice of Madras High Court. As per Karnataka High Court website, the two judges were got enrolled at a gap of seven months and both were appointed additional judges on May 12, 2003, and later as permanent judges of the court on September 24, 2004.